Eckerd College Library houses and preserves more than 1,300 undergraduate theses published since 1964, the year of Eckerd’s first graduating class. 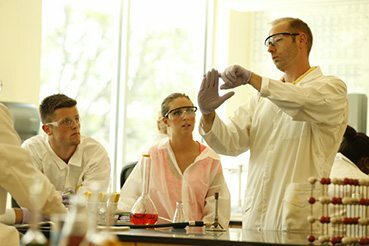 Thesis topics showcase the diversity of research that our students undertake under the guidance of Eckerd faculty. Physical theses are housed in the Eckerd Library and can be viewed in person upon request. 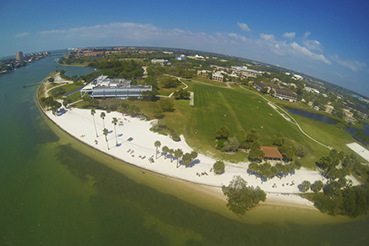 Looking for a specific thesis or want to see the type of research performed by Eckerd students? Search our Thesis Collection by name, thesis title, or topic. Theses are available in print for in-library use at the Eckerd Library. You can also search for theses by discipline by including the name of the discipline in your search, e.g. “marine science”. Please ask a librarian if you need assistance finding theses by author or topic. Students are invited to submit an undergraduate thesis by their faculty advisors. Each discipline may have varying instructions for submitting a thesis. Here is an overview of the process as well as key deadlines for the final submission. Once your thesis is received, the printed version will be bound and entered into the Eckerd College Library collection. Theses are cataloged in the library’s online catalog for discovery by other researchers. Physically bound theses are kept in closed stacks within the Library’s circulation area, and are made available for in-library use upon request. Electronic copies are stored remotely for archival purposes. Please see the following guidelines and checklists for the formatting and submission of your thesis. Please use the following checklists to verify that you have completed all the requirements for submitting your thesis. Failure to meet each requirement may result in the delay of your final thesis submission, approval for graduation, and/or extra printing costs. Basic checklist to ensure you have met the requirements for formatting, printing, and obtaining extra copies. Checklist to be used as the cover page to your final thesis package submitted to the Library Director’s office. Please print this out, fill out the relevant details, and sign. This will let us know how many copies you need and where to send them. Slides from our most recent thesis workshop, detailing procedures for submitting your thesis. If you are submitting a thesis, make sure you are on the Senior Thesis Google Group/mailing list so that you will receive reminders, special announcements, and helpful hints. All thesis students will automatically be added to this list after submitting their thesis contract. You are welcome to opt out if you would prefer not to receive this helpful information. The Library requires and pays for one copy to be bound and archived at Eckerd College. This copy must be printed double spaced, single OR double-sided, and with continuous printing on 8 ½ x 11” 100% cotton fiber paper (aka ragabond or “thesis” paper, available at the EC Copy Center, office supply stores, or Amazon). The EC Copy Center in Edmundson Hall prints theses on cotton paper at $0.18 per page. Final documents can be sent to the Copy Center at copycenter@eckerd.edu). Additional, bound copies may be requested at a cost of $20 each. Additional copies can be printed on normal copy paper. Your thesis should be formatted using the following recommended sections. Your discipline or thesis advisor may have other requirements based on the citation style used in your discipline. Please work with your thesis advisor to make sure you have all the elements expected from your discipline. Amend the sample committee report to include the faculty listed on your committee. The Committee Report must be signed upon the successful completion of your thesis defense. A brief statement of the topic covered including its scope and purpose. This acknowledges the assistance of people or institutions in the research for this paper. It may be included with the preface. A listing of the major divisions of the paper, giving their titles and page numbers. This lists individual headings of any tables used, their numbers and page numbers. This gives titles of illustrations used in the paper, their reference numbers and page numbers. Pages should be consecutively numbered. This is used for material not absolutely necessary to the body of the work, i.e., technical notes, long case histories, IRB approvals, etc. List of relevant sources used in writing the thesis. Students should use the style manual suggested by their collegium. The library has reference copies of the major style manuals (e.g. APA,MLA, Chicago styles). This is a list of unfamiliar words or technical terms with their explanation. Students are responsible for printing their entire thesis package. The library pays to bind one copy. Additional copies can be requested and paid for by students. The NAS Collegium binds an additional two (2) copies to be sent to the faculty advisor and archived in the NAS Collegium. How much will it cost to print and bind your thesis at the Copy Center? Use the following formula to estimate the costs associated with printing your thesis. Keep in mind that the final cost will depend on whether you request single or double-sided printing (either is acceptable), or if you print all copies on cotton paper. The Library will bind one (1) copy of your thesis (+2 NAS copies). Additional copies are provided at $20 per copy. To print your thesis, send your document to the Copy Center (Edmundson Hall) for printing by emailing a PDF of your COMPLETE thesis document, including the signed Committee Report, Appendices, and IRB approvals (if applicable, included as appendices) to copycenter@eckerd.edu. The Copy Center will provide a bill for printing and binding, and an estimated time for pickup. You may also print your thesis yourself, but please provide one copy on 100% cotton paper for archiving. Pay for copies and binding by bringing the bill provided to the Mail Services desk in Edmundson Hall (by the mail boxes). The paid receipt is required at the Copy Center to pick up your copies and should be included in your final thesis package. Before submitting your thesis, do one final check. Verify that ALL printed copies of your thesis are free from errors and include all elements required. The Library is not responsible for any errors that may result from printing as only you can verify the quality of your thesis. Online Submission. Finally, submit a PDF version of your thesis including the scanned, signed Committee Report and any IRB approvals (if applicable) via the Online Thesis Submission Form at http://bit.ly/thesisSubmission. One your thesis package is compete, fill out a Final Thesis Submission Checklist (with printing receipt attached) to be used as the cover page to your package. Bring your thesis package to the Library Director’s office on the 2nd floor. Students and their research partners (if applicable) shall retain the copyright of their original thesis. Researchers are asked to respect copyright policy for any copyrighted excerpts, charts, tables, or images used within their thesis. The Eckerd College Library maintains an electronic archive of undergraduate theses published at Eckerd College (EC) for the purposes of long term preservation. This archive is permanent. By adding your thesis to the archive, you have given permission for it to be discoverable via the Library catalog. At this time, theses are not available in full text online but the Library may choose to make theses fully searchable online at some point in the future. Your copyright protects you against the unauthorized use of your work.Therefore, you will be asked your sharing preferences in the event that this collection is more widely shared. With the rights you have with your copyright, there are also responsibilities. Please review the following sharing options for your thesis and determine which you feel most comfortable with. You will be asked your preferences upon submission of your electronic thesis. Students should work with their Thesis Committee and relevant collaborators to agree upon the level of sharing that they would prefer for their thesis. You may change your sharing settings at any point by letting the library know your preferences. I agree to make my thesis available to the Eckerd College Community and to the larger community of scholars upon its deposit into the digital archive or successor technology. My thesis will be available in print in the EC Library or on Interlibrary Loan. I agree to make my thesis available ONLY to the Eckerd College Community upon its deposit into the digital archive or successor technology. My thesis will be available in print in the EC Library. I agree to make my thesis available in print in the EC Library, and in an electronic copy to be deposited for preservation purposes only. The electronic copy will not be made available to any users. If you have any questions about the sharing options above, please contact the library prior to submitting your thesis package. According to FERPA (20 U.S.C. 1232g), a thesis may constitute an educational record. Upon submitting your thesis, you acknowledge this fact and consent to the use of this work according to the terms of this agreement. To ensure that all theses submitted are compliant with these ethical and legal considerations, you will be asked to check a box to confirm your consistency upon submitting your electronic thesis. The Eckerd Library retains electronic copies of all undergraduate theses submitted to the College to ensure the long-term preservation of student research. Once a thesis is submitted, it is stored in Eckerd’s Online Library Archive, and available only to administrative staff. All files uploaded must be in PDF format. Students should work with their Thesis Committee and relevant collaborators to agree upon the level of sharing that they would prefer for their thesis. See the Senior Thesis Guidelines tab for more information. 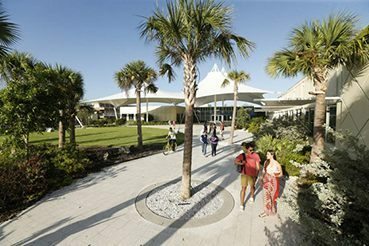 In the future, the Library may transfer existing theses to a digital repository of Eckerd Scholarship to increase the visibility and access to research performed at the College. For this reason, you will be asked to indicate your copyright and sharing preferences for your electronic thesis submission. You are welcome to change your preferences at any time by contacting the Library.